This seller is currently away until Apr 27, 2019, and is not processing orders at this time. You can add this item to your watch list to purchase later. jimbopfd has no other items for sale. 1968 Indy 500 Program Autographed by winner Bobby Unser! PSA/DNA Certificate! 1993 Indy 500 Program Singed By Winner Emerson Fittipaldi! PSA/DNA Certificate! 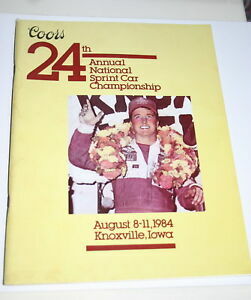 1970 Indy 500 Program Autographed by winner Al Unser! PSA/DNA Certificate! 1988 Indy 500 Program Autographed by winner Rick Mears! PSA/DNA Cert! Rare! 1994 Indy 500 Program Autographed by winner Al Unser Jr! Mint! PSA/DNA Cert! !